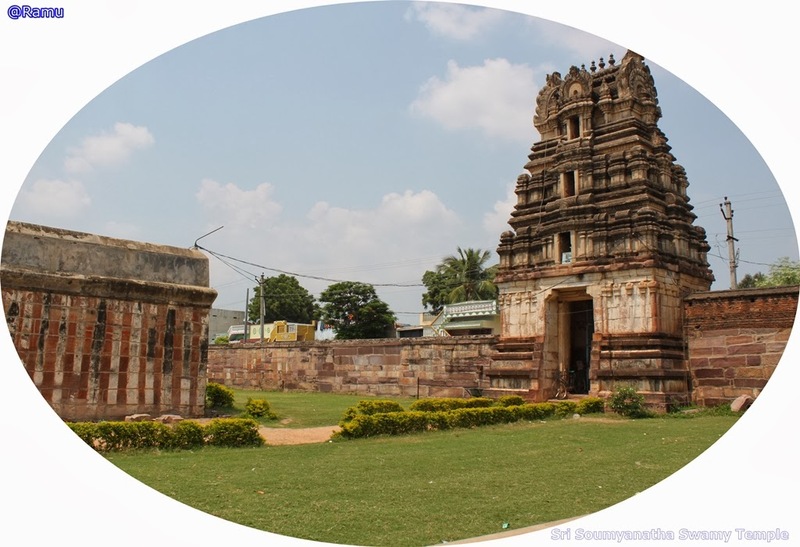 Spreading across an area of more than 10 acres, Soumyanatha Swamy Temple (Lord Venkateswara Temple) at Nandalur, is a famous temple in Kadapa District. It is an old replica temple resembling the famous Thiruvannamalai patronized by the great kings of different dynasties including Vijayanagara, Pottapi, Matli, Pandyas and Cholas. The main attraction of the temple is its beautiful 108 pillars and 4 Raja Gopurams. Towards the west is Tirupathi, a major pilgrimage cultural city in Chittoor district. Another surprising fact about this temple is that the deity is clearly visible in both sunrise and sunset without any bright source of light coming to the temple. So, you can have a good glance of the deity from the entrance itself. Another fascinating fact about this great temple is that on some special occasions the sun rays directly touches the feet of the main Soumyanatha deity. If you visit this temple on a bright full moon day you will get a chance to watch many more mysterious in this temple. The idol has close resembles with Lord Venkateswara Swamy at Tirumala except the Lord shows his Abhaya Hasta in Nandalur whereas Sri Venkateswara Swamy shows his Kati Hasta. Sri Soumyanatha Swamy temple is built with red-stone and has many inscriptions written on the temple walls in Tamil language. Don't forget to watch the huge fish carvings on the temple ceiling. To my surprise it is the first time I saw the temple pillars having lions head at the bottom instead of having them at the top which is quite common in many South Indian temples. Locals believe that there is another hidden temple beneath this visible Soumyanatha temple. Telugu and Urdu are the main languages spoken by the local people at Nandalur. Nandalur comes under Rayalaseema region. Other noted temples in this vicinity are Ganapathi Temple, Anjaneya Temple and Prayoga Narasimha Swamy Temple. There are 2 ponds present in this temple- one inside the temple premises and the other one outside the temple. Soumyanatha Swamy Kalyanotsavam is performed in the month of July. The State Government sends the pears to Lord during Kalyanotsavam. Note: The temple will be closed in the Afternoon from 1 PM to 4 PM. Nandalur temple has good road connectivity options as Kadapa city is just 46 km away from Nandalur. Nandalur Railway Station (NRE) is the nearby railway station present at a distance of just 2 km away from the temple. Tirupati railway station (TPTY) is the major railway station. Kadapa Airport is the nearby airport located at a distance of around 53 km away from Nandalur temple.